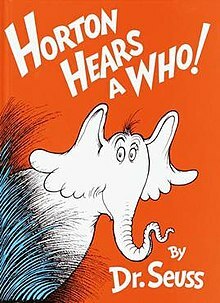 According to Deadline, Wonder director Stephen Chbosky has been chosen to direct a biopic about Dr. Seuss. The movie will reportedly focus on Geisel’s relationship with his first wife, Helen Palmer. (Palmer committed suicide in 1967, at least partially in response to an affair Seuss was having with a family friend, so I'm assuming this film will not be aimed at children.) Palmer was a fascinating woman; I'm a little sorry this isn't a biography about her, instead.